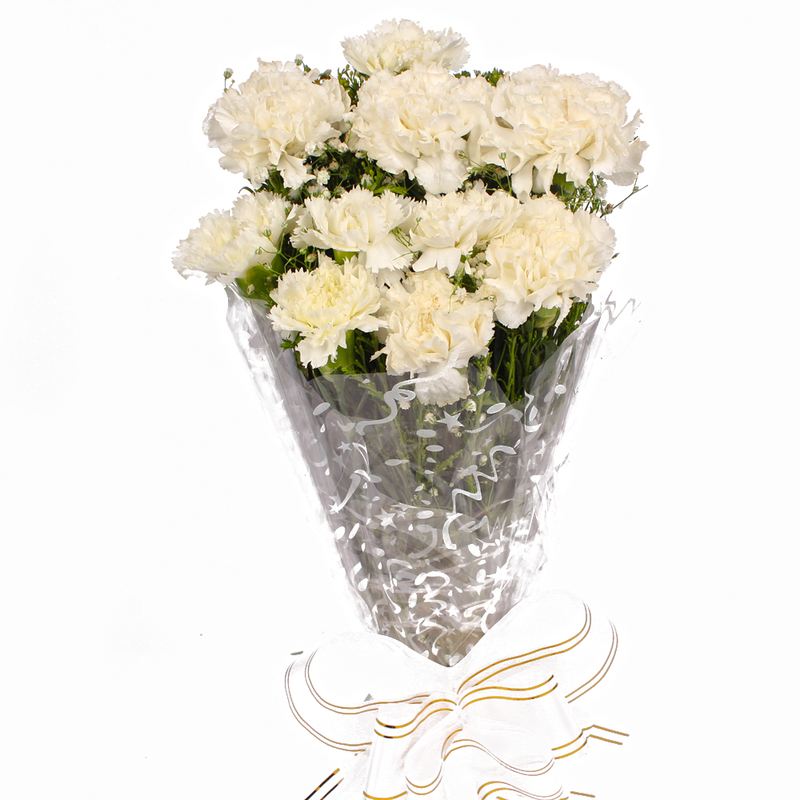 Product Consist : 10 White Color Carnations with green fillers in Cellophane Wrapping with Ribbon Bow on it. 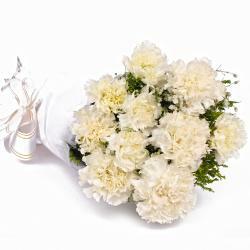 See your beloved face brighten up first thing in the morning when you present him / her with this bouquet of Carnations Comprising of ten stem beautiful and fully bloomed flowers, these have been put together in a cellophane paper to hold their position. 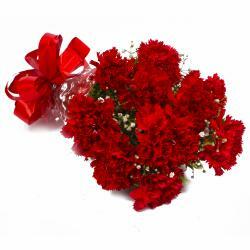 Their look has been completed with a matching ribbon tied around them neatly. 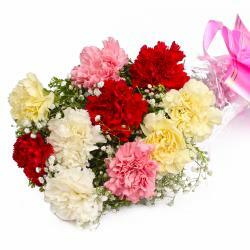 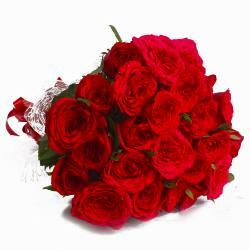 These flowers can be presented when you are proposing to your girl, on Birthday, Anniversary, Corporate Gifting, Dhanteras, Eid-Al-Adha, Independence Day and even Weddings. 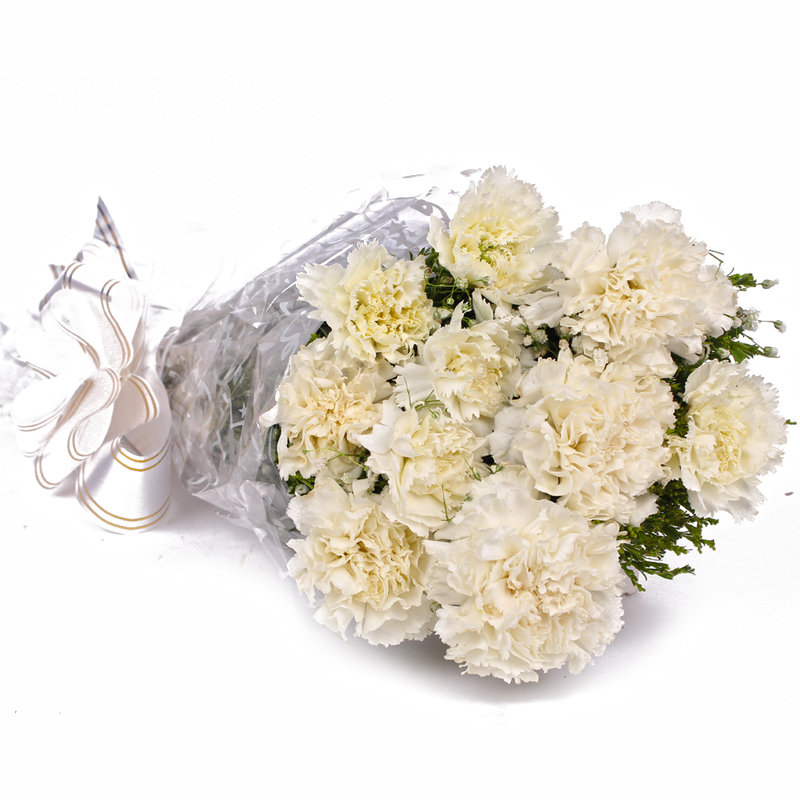 Product contains : 10 White Color Carnations with green fillers in Cellophane Wrapping with Ribbon Bow on it.